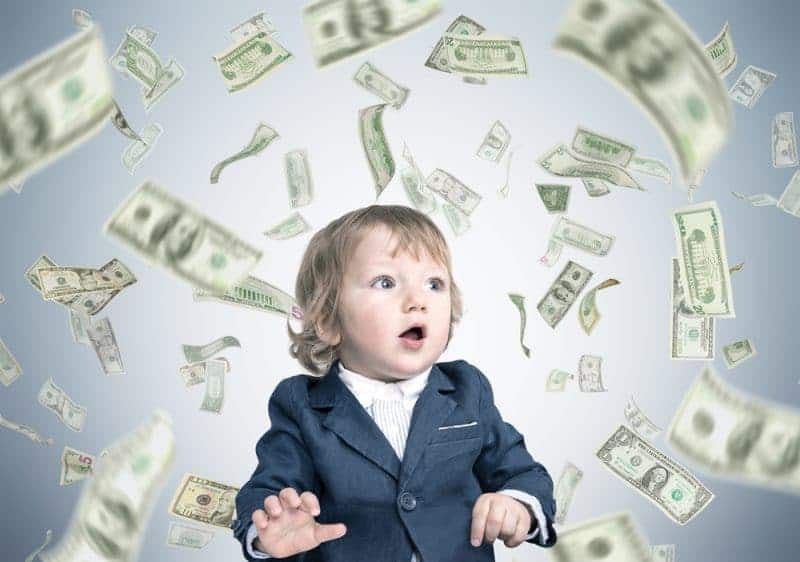 Help set up your children for financial success from the start with these 5 smart tips on how to raise financially independent children. As a new mom I can't help but try and think of how I can set up my child for success later in life. Even though he is only a few months old, I have already begun to think about how to best set him up for financial independence as an adult. 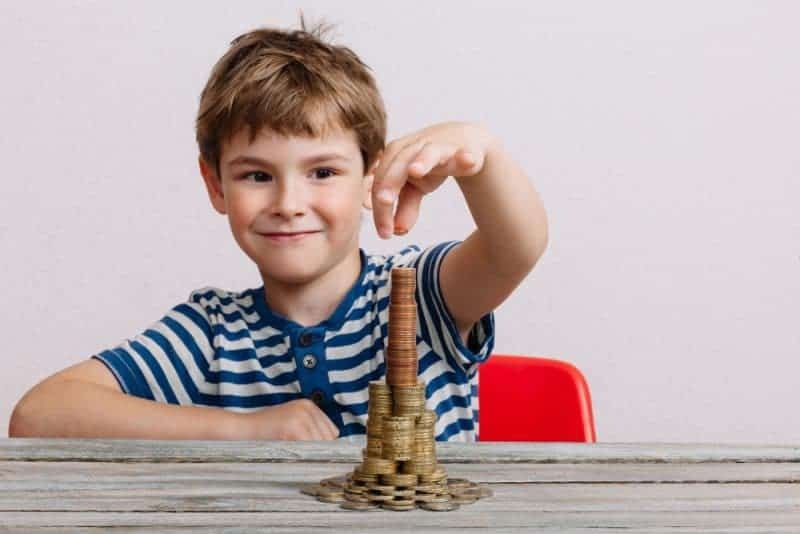 While schools have added more programs over the years to help children learn about how to handle money and save for their futures, the best way for kids to reach financial independence is to learn about money from their parents. This isn’t something that happens with one small “sit down” talk. Instead, financial concepts are something that need to be taught to kids throughout their childhoods in a variety of different ways. Even in a less than savory economy, people can find that they can get by and put money away for an even rainier day if they develop a better understanding of how finances work, and the steps needed to achieve financial independence. 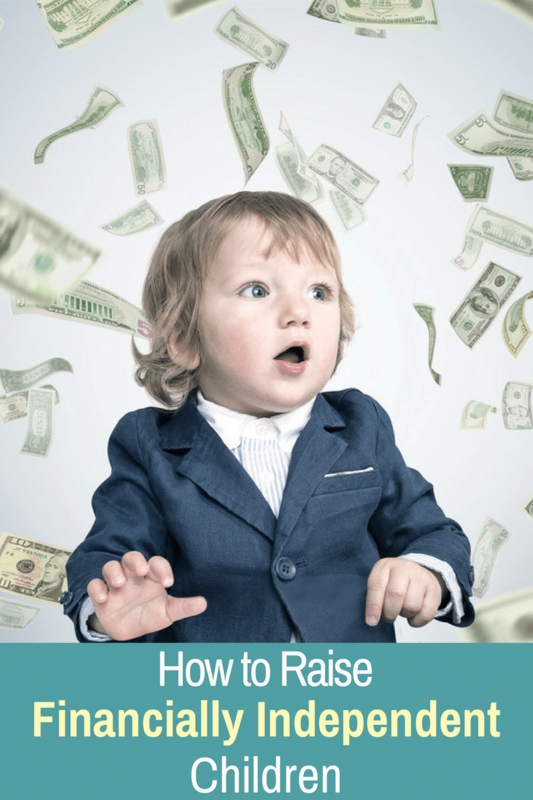 Here are some tips on how to better raise financially independent children. One of the most important things that kids can learn about money is the importance of saving it. For a child, this can be a difficult thing to grasp. To them, money is a gateway to a whole world that they can’t necessarily have, because they depend on you to purchase things for them. This builds up an excitement that makes it difficult not to spend money the moment it lands in their hands. For this reason, it’s important to start teaching them the importance of savings while they are still young. Here are some fun ideas on how you can show them how to save money in ways that they will remember. Even if your children don’t listen to everything that you say, they are watching everything that you do. The lessons that they learn from watching you are far more potent than any that you try to force upon them, but that they don’t recognize in the way that you live life. This is definitely true when it comes to finances. As such, you need to lead by example and practice financial independence in your own life, if you expect your kids to take those ideals and apply them to their lives. “No” is one of the most important words that a parent needs to have in their lexicon. As kids begin to develop an understanding of ownership, they also have to be told that they can’t have everything that they want. Many parents struggle with this, as they want to provide for their child, and it can be tempting to spoil them because of how much you love them. However, you will raise a far better person if you teach them that they can’t have everything, and that they have prioritize the things that they want based on things like time and money. This concept teaches scarcity and discipline. Getting a job at 16 or 17 helps make a teenager more responsible for their affairs. They usually won’t complain about this, as it gives them extra money to spend and is a positive social factor. Push your child to have a job so that they can start to embrace what it would be like to have money of their own. Even allowances don’t really convey this idea, since the money still comes from you, their guardian. Teenagers tend to be a lot more cautious about spending the money they earned, rather than spending their parents’ money. You can avoid this by answering questions about money directly. Give them a bit of a window into what the family’s financial situation is like. Let them know early on that you’re open to the discussion, instead of self-conscious and scared. You don’t need to break down your income and budget for them, but help give them context in their own lives that they can apply knowledge about finances to. I hope that these tips will help you to raise your children with a sense of financial independence! I’ve found that being honest with them and giving them choices is a good start. Even at a very early age I was straight with my kids about our lack of money. They were given choices from the start and told that we could only afford one thing. It was up to them which one. I have teens and the idea that they will be in college soon and probably offered actual credit cards terrifies me. 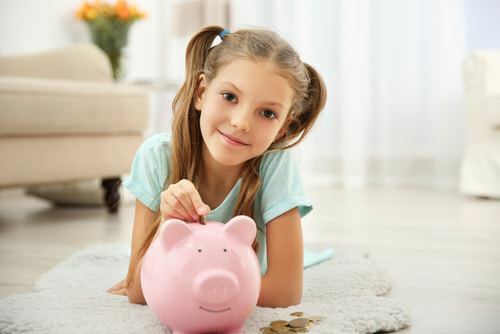 It is so important to teach kids money smarts from a young age! Great tips!! I would just add to be a little careful on being open about your family’s financial situation. If things are extra tight, kids don’t need that extra stress. but definitely be open and share in money talks with the kids. I had my older kids sit and watch me pay the bills one day so they could see how I do that and where money goes and why.